Fir Tree Cottage is a charming little cottage set in snowy woods. Worked on periwinkle blue paper this design is based on one of the cottages on the popular White Christmas de-luxe card, so has a similar feel in a smaller card. 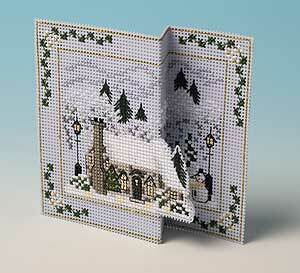 Fir Tree Cottage is also available in our Christmas Card Pack - Cottage Selection.